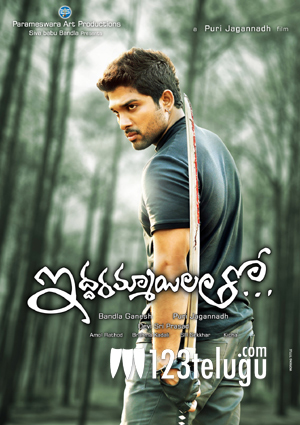 Stylish Star Allu Arjun will soon be seen in the film ‘Iddarammayilatho’. The movie is getting ready for release soon and Allu Arjun is having good expectations on the project. Sources close to the actor say that he is especially excited about the action sequences in the film. The film’s action sequences were choreographed in a stylish and fresh way by Thai fight master Kecha. Bunny seems to be highly impressed with Kecha’s abilities and the entire production team is expecting those action sequences to be a good attraction for the film. The movie has been directed by Puri Jagan. Bandla Ganesh is the producer and Devi Sri has composed the music. Catherine Tresa and Amala Paul will be seen as the heroines. Will Bunny’s confidence in Kecha be vindicated? Let us wait until the film releases to find out.